Perhaps it was a Godwink moment for Homecoming Magazine when SQuire Rushnell, inspirational speaker, bestselling author and former ABC News executive attended a reception this past year and met Homecoming’s editor. As the two chatted, it wasn’t long before they realized Homecoming readers could benefit from SQuire’s inspiring stories. (Remembering too that Gloria was an admirer of Rushnell’s work, SQuire was invited to contribute to the magazine.) SQuire remembers thinking, “This makes an awful lot of sense,” and in a nutshell, a new column was born. But we seriously doubt it was a coincidence. Like so many of SQuire’s stories, this might just be another "Godwink". SQuire Rushnell knows all about Godwink moments. 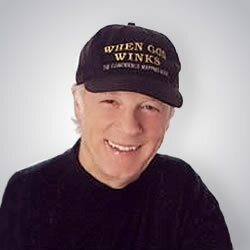 The former television executive, who spent several successful years working for ABC News where he was responsible for some very familiar programs, including “Good Morning America,” “School House Rock” and “Kids Are People Too,” is also the author of the best-selling book, When God Winks. The word "Godwink" was first coined by SQuire to explain those God moments that are too big to be a coincidence and that may be directly from God. The term has caught on and is now so much a part of our English language, it could appear in the dictionary as early as this year. So how does a network executive end up writing books and speaking? SQuire’s interest in public speaking began when he was just a boy. He still recalls his fascination with the spoken word when, as a child, he would listen to his heroes on the radio. “I noticed how the passion came through voice,” he says. “I noticed the techniques of Norman Vincent Peale and others. I looked for what made them tick. That’s what led me into TV and radio.” SQuire also says that he always loved telling stories. The combination of his television experience, being a natural storyteller and his dream of becoming an inspirational speaker culminated into more ways to touch people’s hearts than he ever expected. After leaving ABC, SQuire’s love of storytelling and his gift of inspiring others led him to his new career in public speaking and writing, but he was purposeful about not abandoning a children’s project that was born out of another Godwink moment. 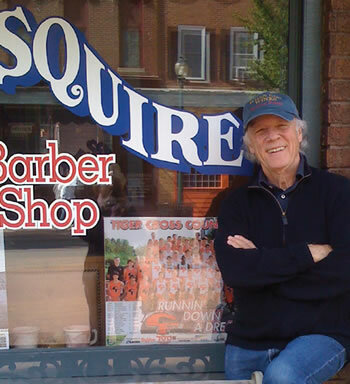 When SQuire was still at ABC, he received an unannounced visit from a dear aunt who declared with gusto that children needed some heroes on Saturday mornings; and not just any heroes, but Bible heroes. SQuire thought about it, and as a result of that conversation, created “Kingdom Chums,” a cartoon series about the Bible which had two successful runs at the network. SQuire later bought all the rights to “Kingdom Chums” so he could give the DVDs away on his website. Even during SQuire’s successful TV years, he was already taking notice of events that seemed like they might be from God. “At ABC, I always perked up my ears when a reporter began a story with, ‘and ironically, today,’” says Squire. He was always interested in moments that seemed to be more than a coincidence. SQuire loves to travel with his wife, the equally talented comedienne, Louise DuArt. Louise frequently tours with comedian Tim Conway and others. SQuire and Louise also have their own traveling show called An Evening of Music, Inspiration & Comedy. And Homecoming is proud to have Squire in the foreground with his new column... GODwinks.